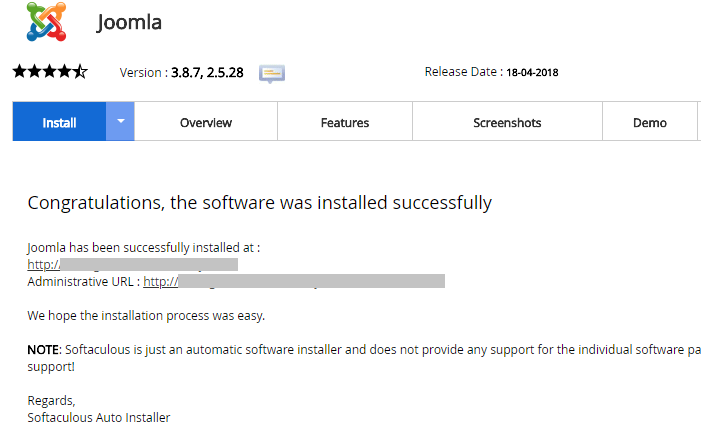 Login to your cPanel account and click on Softaculous Apps Installer as shown below. 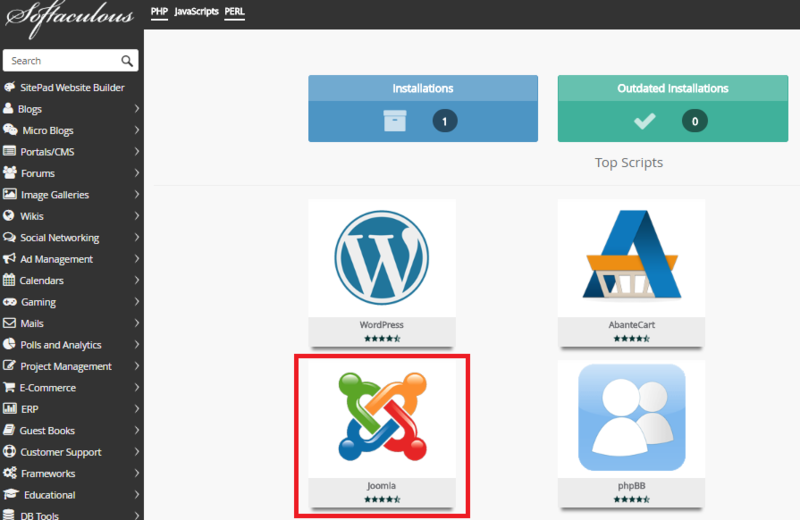 Click on &apos;Joomla&apos; and the Install button. 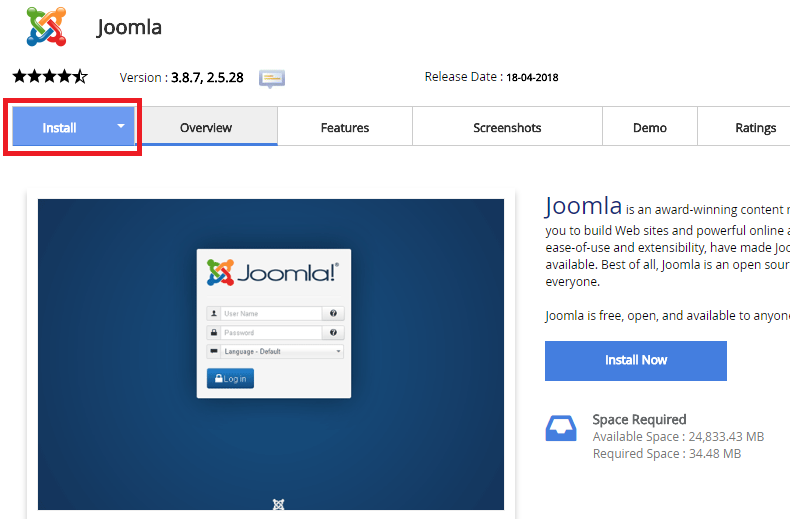 You are now inside Joomla description page. Click on &apos; Install &apos;. Enter your new Joomla details accordingly. 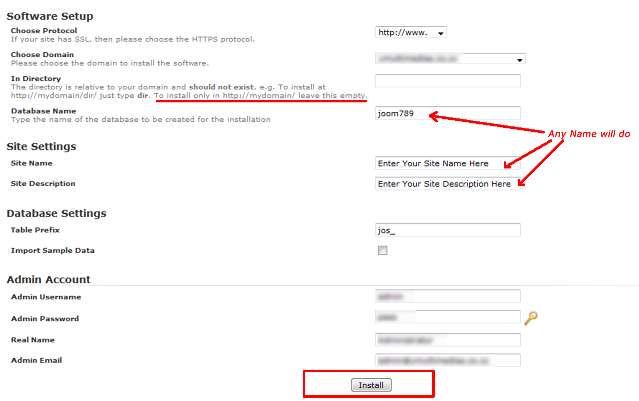 Please note that if you wish to install Joomla in your root domain i.e. www.yourdomain.com, then leave out the &apos; In Directory &apos; section. Press the &apos; Install &apos; button once you&apos;re finished. You shall see the &apos; Congratulations, The Software Was Installed Successfully &apos; message by the end of the installation. Please take note of your Joomla administrative URL since you will need this login access to your Joomla admin page.